The strains used by the Mazzarrini family are the historically most common in the Chiana valley. They are: Leccino, Frantoio, Moraiolo and Pendolino. These strains were selected because each of them gives the oil certain qualities, and also because each of these has an inherent environmental merits. To better understand what each of them offer, let’s ge through them one by one. 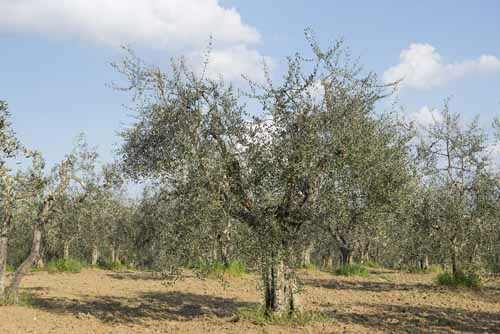 The Leccino, just as the name says, resembles the shape of a holly oak, if in good health. If observed more attentively, other commonalitieswill be discovered, as, for example, the high resistance to harsh climate conditions and microbiological hazards, as well as its high adaptability to different types of soil. It produces green olives constantly, which then darken to black when they are fully ripe. 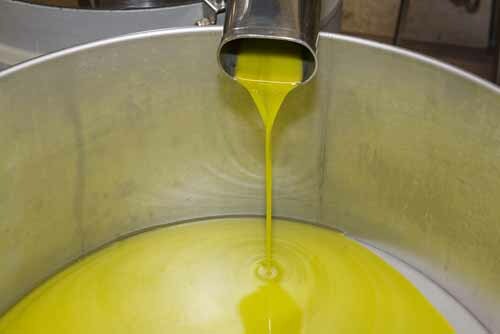 The oil they produce is not very thick, verging on a yellow coloration, of mild taste and smell, though still distinctive. The Frantoio is not called that by mistake or chance. Just like an oil mill, the tree itself is very vulnerable to unpleasant environmental conditions. On the other hand, when the conditions are right, they give astonishing quantity and quality. The oil produced from these olives is thick and of dark green colour, and has astrong taste and smell. 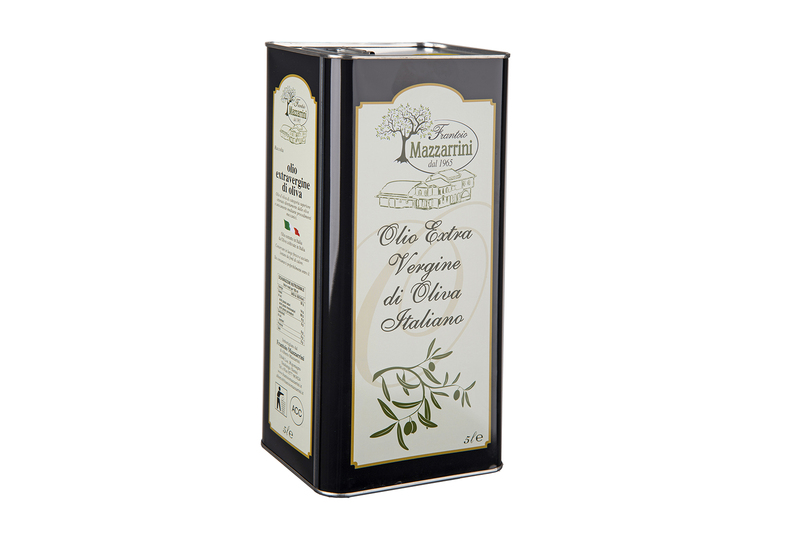 The green olives carried by the tree gradualy darken towards black during the seasons. The plants must be treated carefully, also because they tend to become massive without proper pruning. 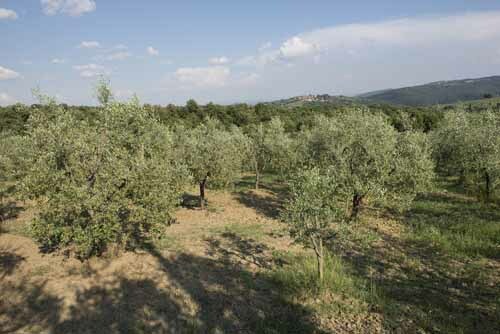 Maybe the Moraiolo is called that because its olives are reminiscent of blackberries. Just like blackberries, they are born green and immediatly shift to violet, darkening slowly to black and the end of their maturation cycle. Usually they form clusters on the branches. 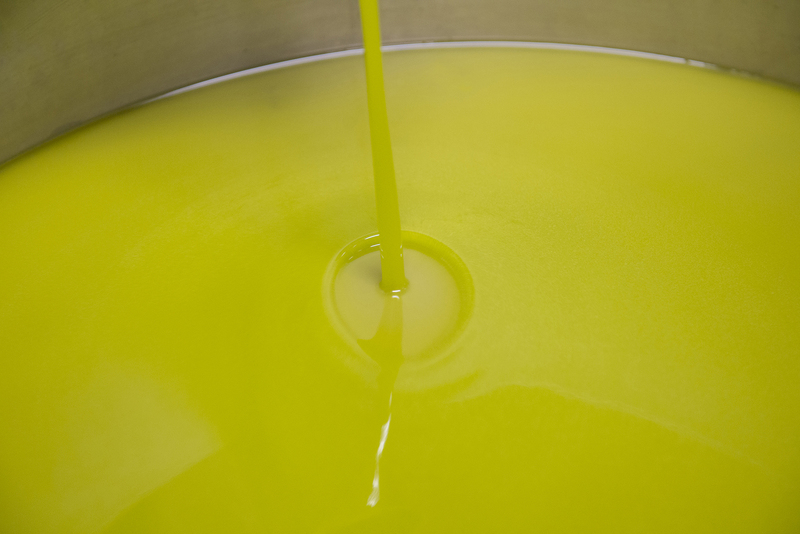 The oil obtained from these is usually yellow, with strong notes of bitterness, spicyness, and sometimes astringent. 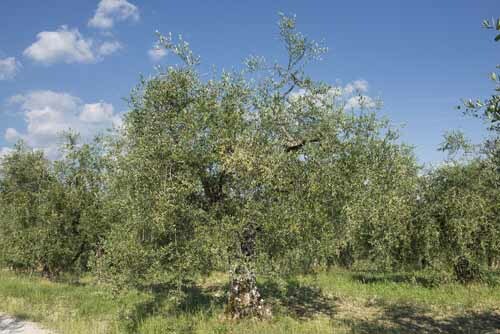 The tree is usually sparse, and is very sensitive to metereological conditions and illness. Finally, let’s talk about the Pendolino, which, as the name says, may look like a weeping willow to the untrained eye, and, just like it, has good resistance to envoronmental effects and illnesses and a long-limbed structure. The olives remain green until the last stage of maturation, during which they become black. 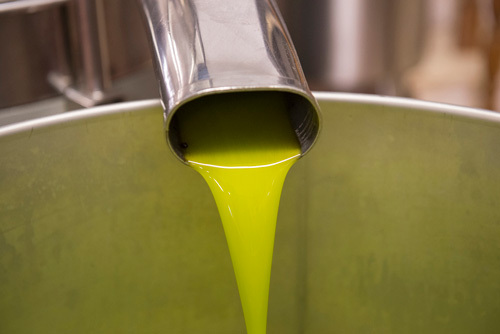 The oil gained from these is a medium green, with recognizable, but mild flavor. Its great advantage, though, is pollination. And these are the main differences between the various strains. Other things they have in common. Firstly, they all prefer rocky, or at least dry, soil, as they are susceptible to stagnating water. They pollinate mainly by wind, and very rarely self-pollinate. In this phase, usually a ten-day period in the middle of April, they are especially vulnerable to heat, cold (respectively higher than 25°C or lower than 15°C) (TN: 77°C; 60°F), rain, fog, strong wind, among other things. This period, called “tramatura” (“weaving”), is the main deciding factor of quantity. 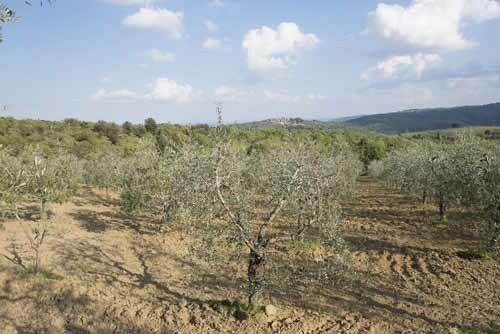 The quality of the olives, and thus of the oil, depends on the environmental conditions in the time between the fruit setting and the harvest; for example hail and rain,by injuring the plant and keeping the humidity high, make it easier for illnesses to set in, for example olive knot and olive peacock spot. In addition to this, high temperatures or even continued rainfall incite the proliferation of various harmful insects and parasytes. 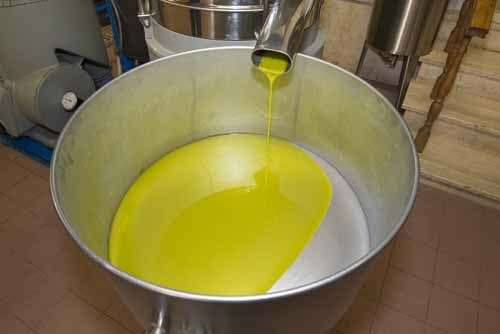 In spite of what you may think after this description, it’s necessary to have a good, harmonious mix of different strains to produce high quality oil. 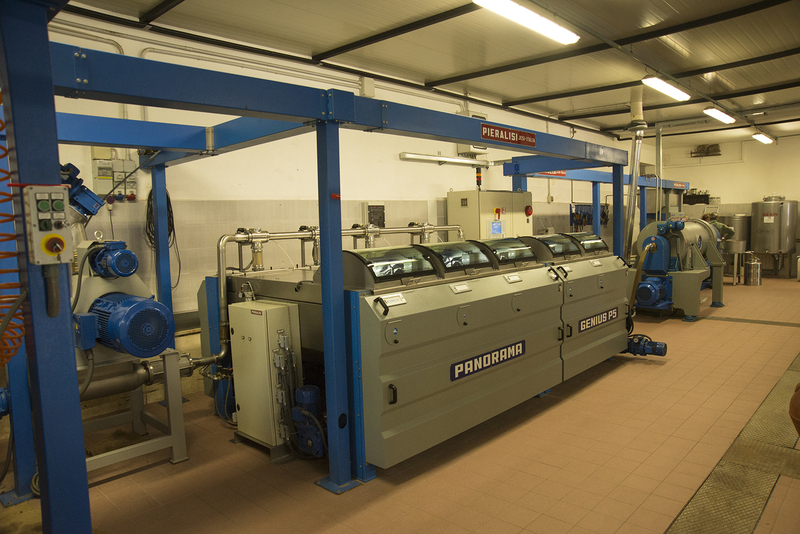 Today the Mazzarrini Oil Mill uses a Pieralisi facility, a modern-method, continual-cycle, three-phase decanter-equipped machine that processes about 25 q.li per hour. “Q.li” is the acronym for quital, i.e. a hundred kilograms (TN: which equals about 220 pounds, meaning the the previous value is 5500 lb per hour). Amazing, right? Let’s take a look at how it works, though. 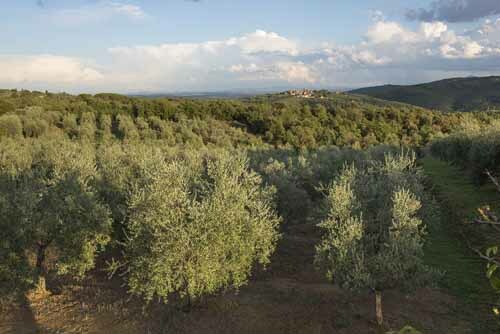 The first step is to transfer the olives into our containers, and above all take our clients’ priorities in mind. 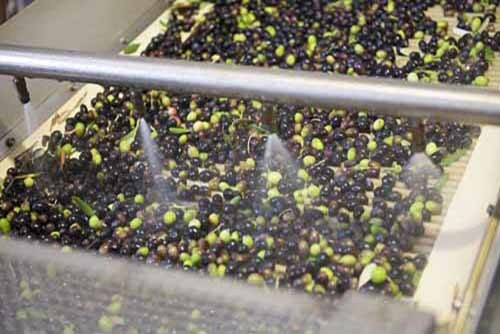 For those who come to entrust their harvest to us, having a minimum of 660 lb of olives and already adhering to certain quality control systems, we guarantee not only indipendence of production, but also cohesive documentation ( and onlt documentation, since the an oil mill cannot release cerificates, since those require a series of chemical, physical and organoleptic tests). 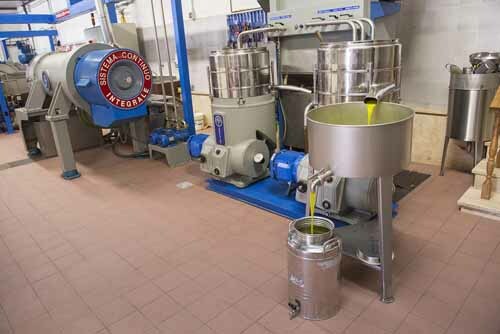 But it can guarantee that the olive oil is “of superior quality directly extracted from olives through exclusively mechanical procedures”, as stated by law. 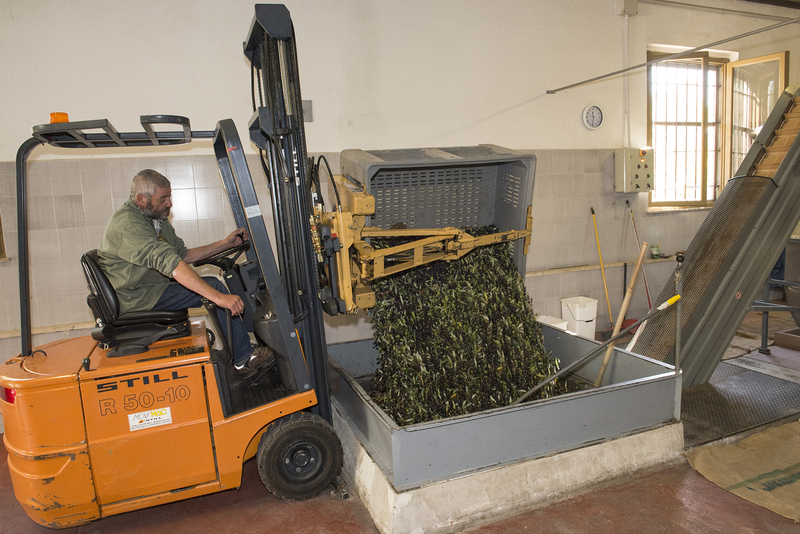 For those who have less than 660 lb, we have to gather olives until a weight of about 880 lb is reached to process. 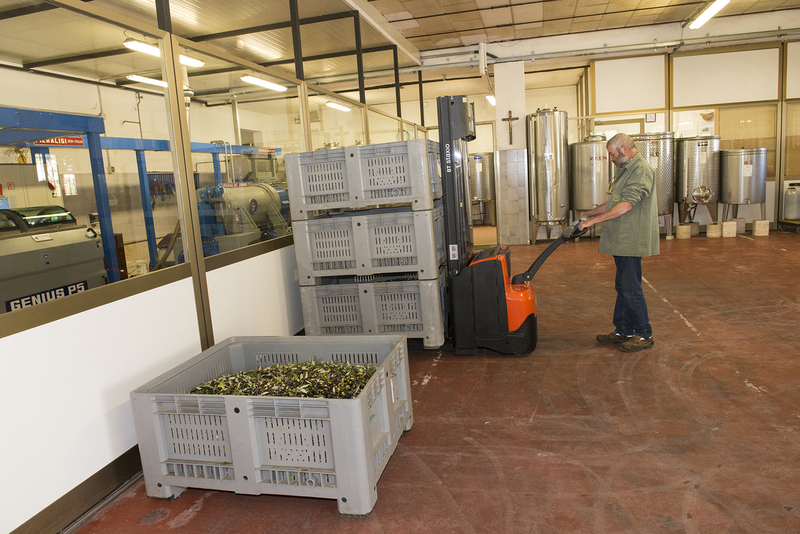 After the olives were weighed and are waiting for processing, they are stored in our depot. A forklift puts the olives into the extraction circuit, being poured from the boxes into the hopper ( which is basically an oversized kitchen funnel). 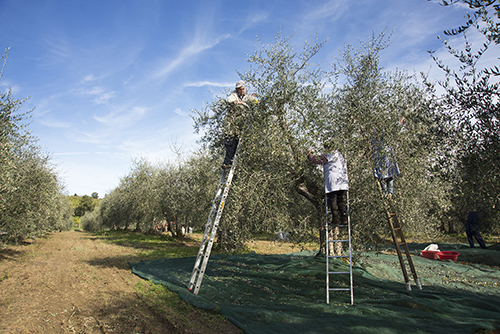 The olives undergo their first cleaning by passing through a mesh, eliminating the biggest branches and other foreign matter. 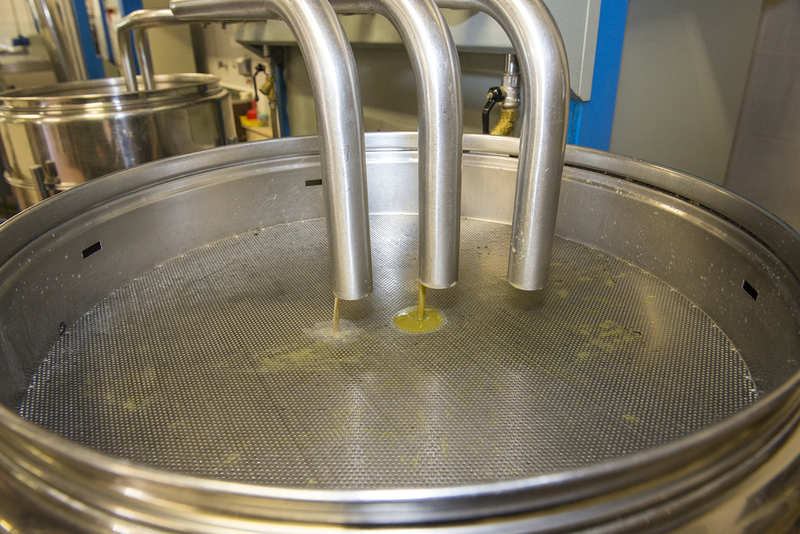 Once the hopper is full the rest of the machines can start their work. First comes the conveyor belt, transporting the olives to the defoliator and the washer. 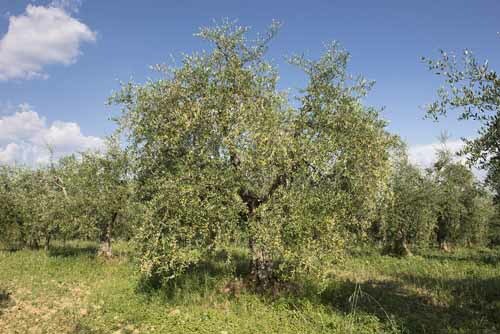 The defoliator blows everything away that has a greater weight than olives. The washer cleans the olives with high pressure water, after which they are moved to a smaller conveyor belt, on which they undergo further rinsing, to the fall into another, smaller hopper. 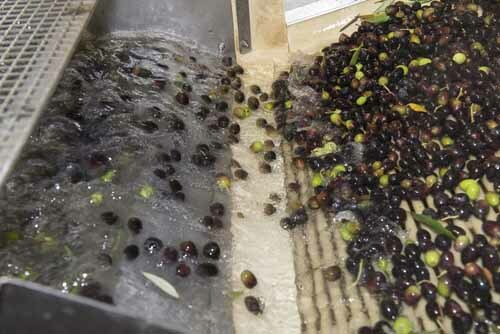 The washer, in addition to removing impurities, filters out anything that weighs more than olives. From the hopper they are carried by an auger conveyor (a big screw with a thread so big it’s called helix) to a crusher, where they are crushed into paste, without removing the seed. 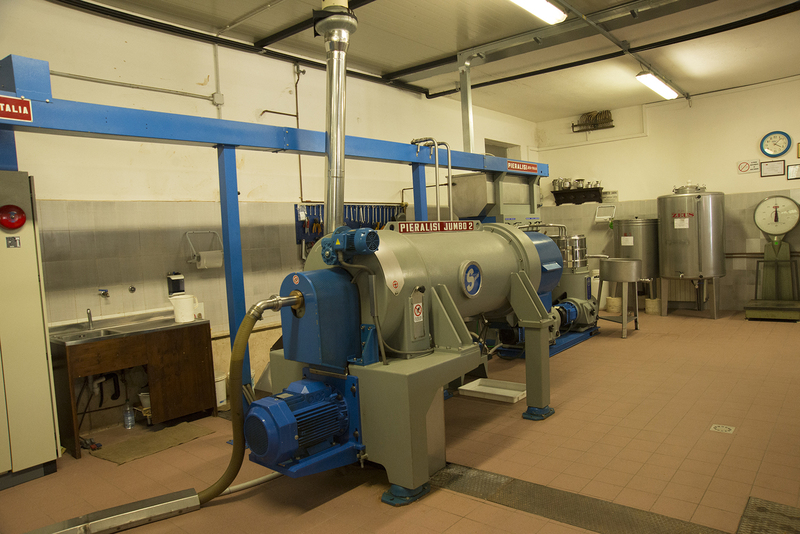 The crusher rotates at about 1800 rpm (revolutions per minute), crushing the olives relatively gently, reducing the development of undesired bitter and astringent flavours. 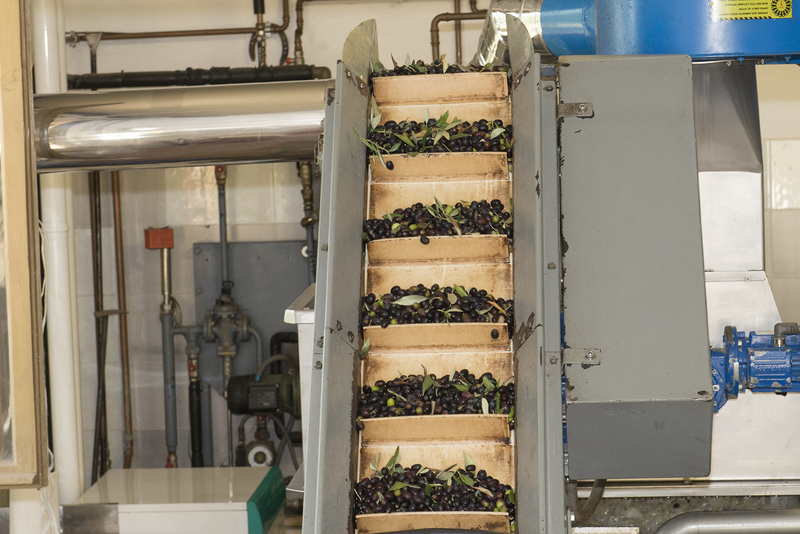 The crusher resembles an old stone mill, with the exception of a motor which powers mechanical hammers that crush the olives in what is called an olive paste, in which seed fragments still remain. The paste is then pushed with a pump (working at constant pressure, to avoid heating the amalgam, which could lead to emulsion) to the malaxer. Here the paste is slowly stirred at a constant temperature and with minimal contact to air. 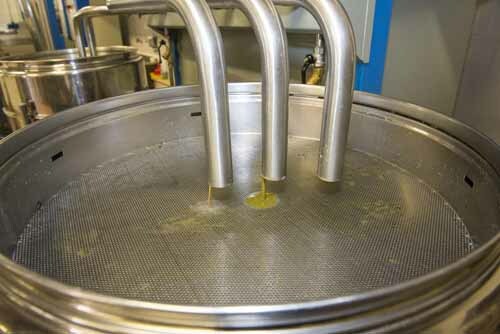 This causes the oil droplets to agglomerate, making extraction easier. 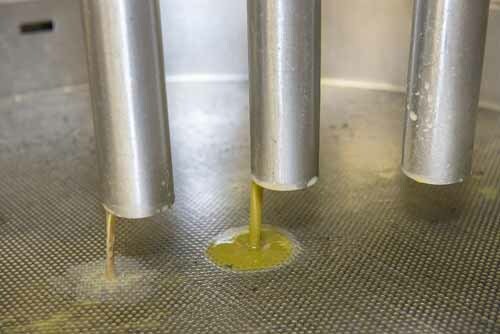 The paste is then removed from the malaxer by another pump. 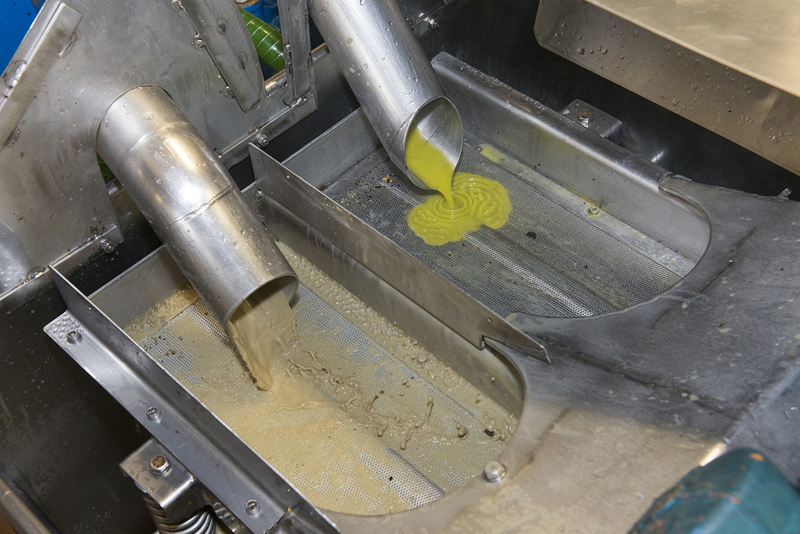 Once the paste is out, we rinse it quickly, to ensure it is not contaminated with other harvests. The press is basically a tub within a tub, with the space between filled with temperature-controlled water, regulated so that the paste does not exceed 27°C (about 80.5 °F), which is the legal limit for us to be able to use the term “extra virgin”. 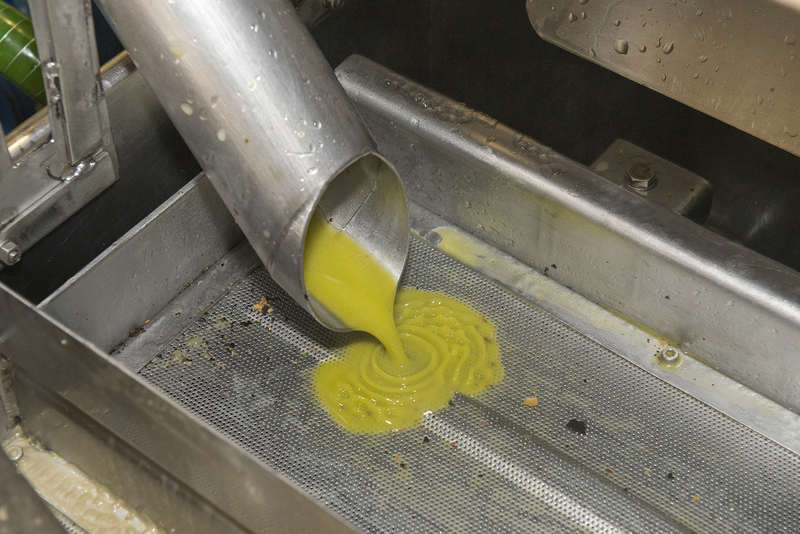 A third pump pushes the olive paste into a decanter centrifuge, which separates the solid from the liquid parts and the oil from the vegetation water, although only grossly, since it rotates only at about 3000 rpm. 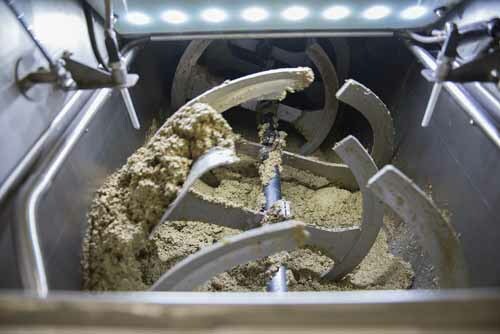 The solids removed this way are called sansa, which is a byproduct for us, but a precious raw material for others. 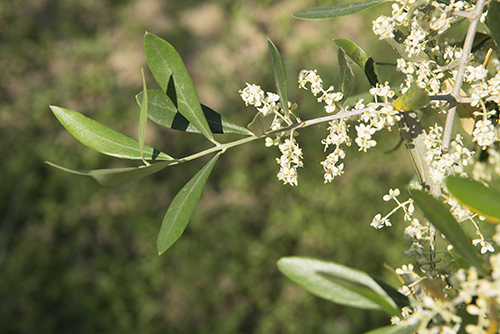 It’s used primarily as a dietary supplement in animal husbandry, as raw material for production of biofuel, for refineries, which sell the oil won from the sansa to cosmetics companies, which in turn employ it in the production of soaps and lubricants. In order for it to be used in the food industry, it is mixed with virgin or extra virgin olive oil, and then sold as olive oil. The vegetation water and the oil are centrifuged again by two vertical centrifuges, rotating at about 7000 rpm, which respectively separate vegetation water from the oil, and remove impurities from it. At this point the oil is ready for consumption. 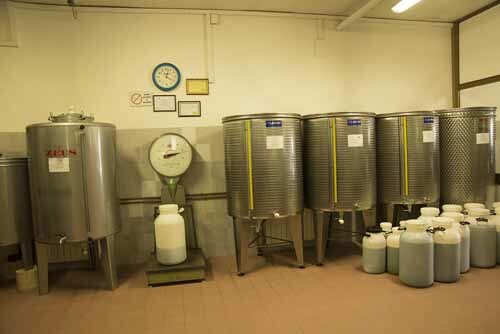 Nevertheless, to ensure a greater purity of the product, we recommend decanting it manually, i.e. pouring it carefully into another bottle after 40 days, and repeating the process between March and April. This process is based on natural decanting, that is to say, the fact that the remaining particulates in the oil sink to the bottom of the container. Thesse form a sludge called “morchia”, which could potentially lead to unpleasant flavours when they ferment, if the oil is exposed to higher temperatures. 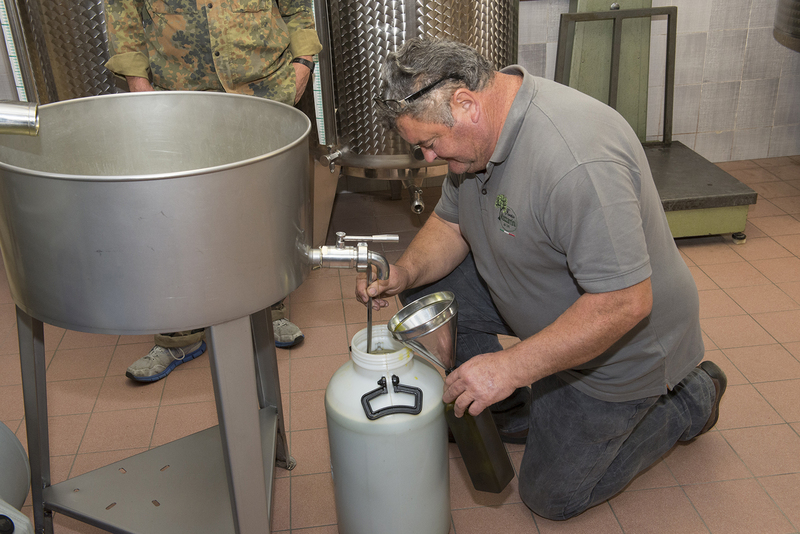 In any case, the oil should be stored in stainless steel kegs before being bottled as long as possible. Stored that way, the oil is protected from light, air and drastic temperature changes. 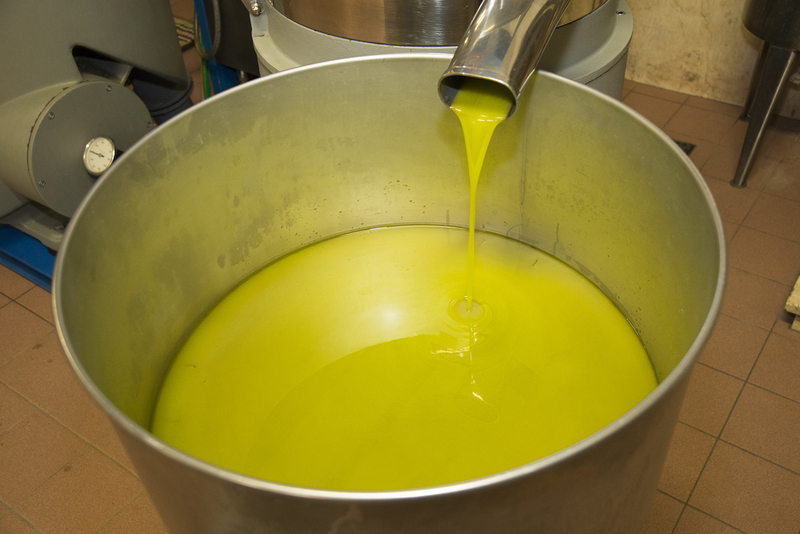 The highest designation for olive oil defined by law is “extra virgin”. 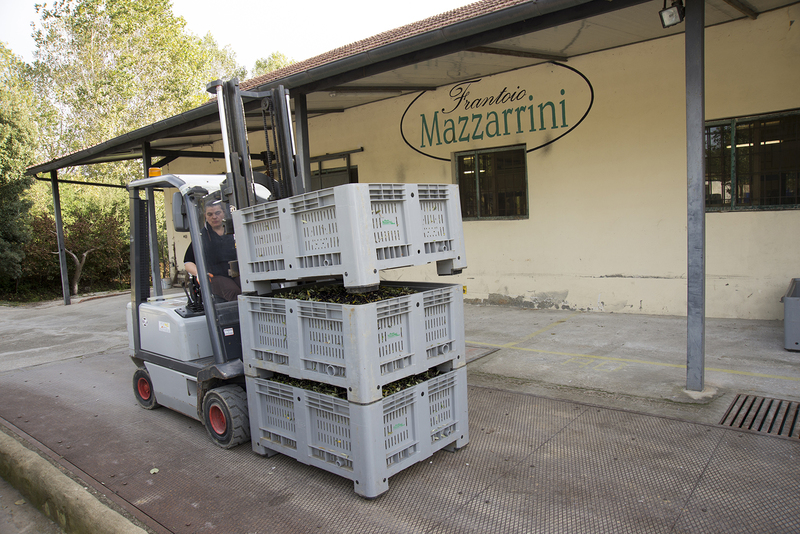 None other than the kind the Mazzarrini family has been producing for generations. How does one determine if it is indeed “extra virgin”? Simply put, through a chemical analysis. Which, to be precise, is not enough by itself. An organoleptic analysis is also needed. 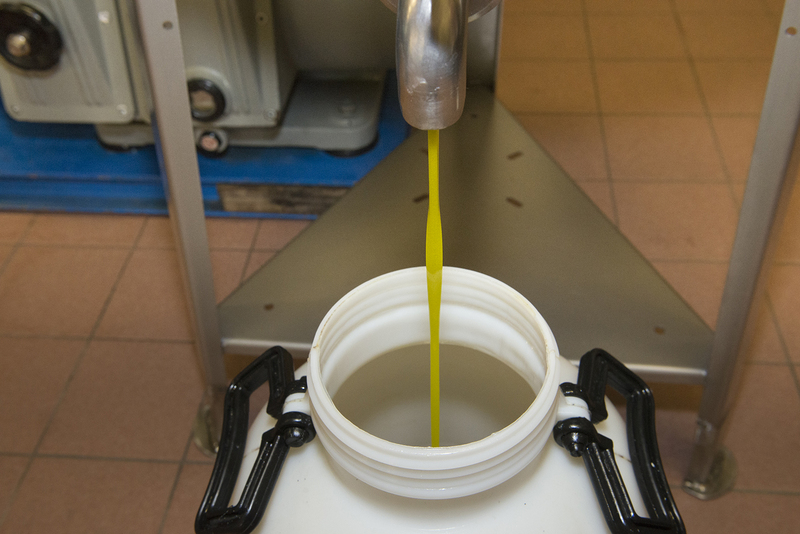 Thee two test are of fundamental importance for anyone wising to sell extra virgin oil. By law, one legitimizes the other. 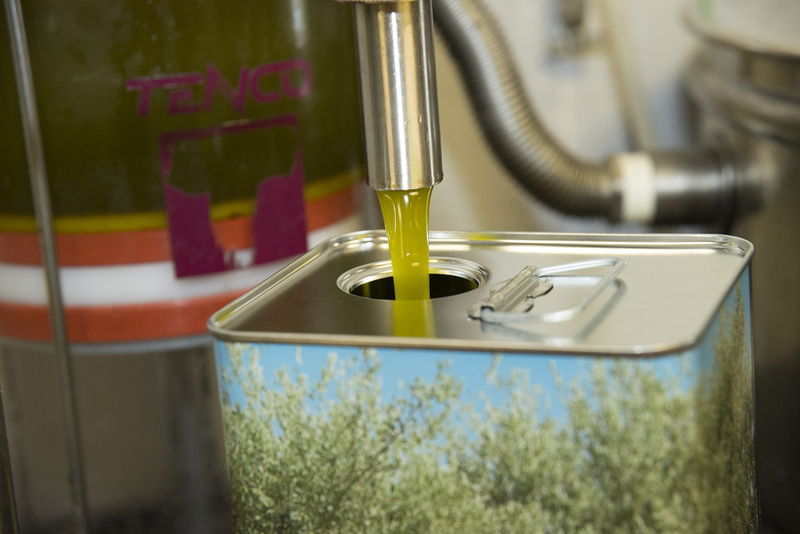 “[...]oelic acidity inferior to 0.8%, and devoid of defects.” For determining acidity, an oil sample is entrusted to a specialized laboratory, which produces a result, according to oelic acid levels and other chemical and physical parameters, relatively quickly. To confirm the absence of defects takes a lot more time. 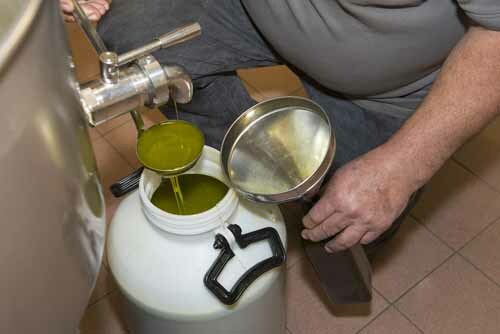 A commission of eight qualified people has to taste test the oil in very specific conditions, codified by the International Olive Oil Council and ratified by national law. 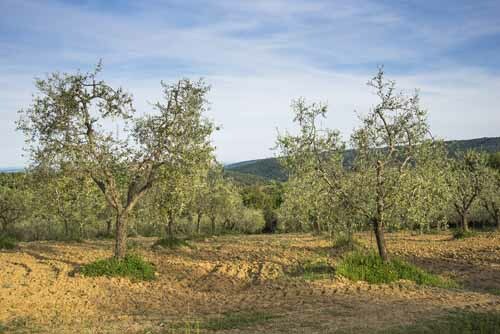 The IOOC is headquartered in Madrid, Spain, the first country to have codified a universal quality scale for olive oil, indipendent from the region it originates from. So while their stated goal is quality control, the effect is the opposite. Fortunately, once the general quality is determined, there are a number of local certificates, sometimes recognized on an international level. These impose even stricter requirements to ensure the typical quality of the place of provenance. Which is highly sought after by customers, up until the point they learn the price of a liter of that certified extra virgin olive oil. 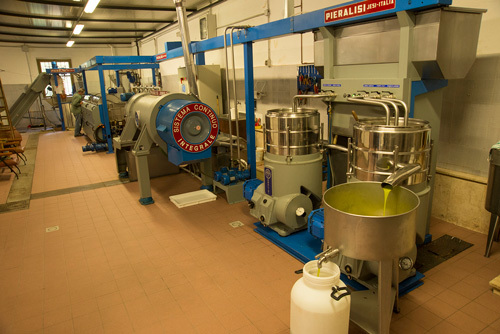 Production and processing of extra virgin olive oil since 1965. The olive strains used by the Mazzarrini family are strains naturally found in the Chiana Valley.